You are proud of your classic car, and we take the same pride in our classic car shipping. 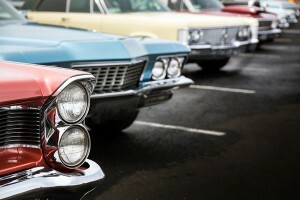 Auto Shipping Group offers solutions for getting your classic car from point A to point B. Each situation is unique. Our professionals are well-skilled at organizing the logistics of any shipping, from overseas deliveries to non-continental states and territories. We offer insured, on-time, trackable door-to-door delivery for your beloved classic car. Follow the route your car is taking with detailed point-to-point tracking. You will know exactly when your vehicle arrives so you can pick it up at your earliest convenience. Whether you are moving or need to deliver a classic automobile to a new buyer, our impeccable shipping gets it there when you need it. Your car will arrive in the same condition as when you left it. We offer different classic car shipping options so you can find the right one to fit your budget. Some shipping options include enclosed shipping for extra protection as well as open carrier shipping, the most economical classic car shipping solution. Talk to us about where and when you need your classic car shipped and let us find you a safe, efficient solution you can afford. Fill out the form and a representative will contact you shortly.